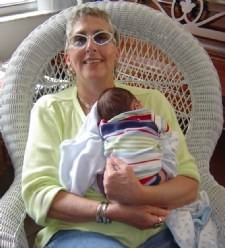 With her grandson, June 2004. Its founder, Hope Marcus, is a former public relations and marketing professional. Her previous business, Creative Overload, an outsourcing marketing communications firm, placed local talent within the business community. It was closed when Marcus became ill. While recovering, Marcus redirected her skills and interests to TheBigFind.com. She holds a BA in history, is a skilled researcher, a freelance writer, and an eBay trading assistant.